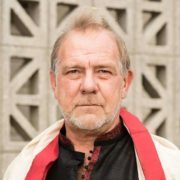 This is an interview with Bob Tenbarge, a home improvement contractor who, after an unsuccessful back surgery in 2007, began his yoga practice. Immediately after the first class, he experienced the benefits, and, as he told me, “I was hooked.” Five years into his practice, he started his first yoga teacher training, simultaneously teaching at several local studios. In 2015 he began a more in-depth training “Transforming Health with Yoga,” with Kay Corpus, M.D., one of the requirements for which was teaching a six-week seva (“service”) project to benefit the community. Rob: What originally motivated you to teach yoga at the Vanderburgh County Correctional Center (VCCC)? My goal has always been to introduce yoga to more men! Most of the time I’m the only male in the classes I attend. My niece is employed at the VCCC and informed me they had been discussing yoga and mindfulness programs for work-release inmates. After a meeting with the program director, it was less than a week before I was teaching on a weekly basis. What began as my six-week seva project is going strong nine months later. The inmates won’t let me stop, and I don’t know if I could. I teach at two yoga studios as well, but the class at VCCC is my favorite. The men tell me how they feel, how the yoga helps, and how much they appreciate me showing up for them. I can seriously say I’ve learned as much from them as they have from me. What is the importance of mindfulness for developing impulse control? How does this help with life inside a prison? People who practice mindfulness have greater control of their impulses, which leads to making better choices. That to me is the most beneficial aspect for a prisoner. Mindfulness slows us down and gives us the time to observe our emotions before we act on them. It also helps us to act without judgement. We can use meditation or grounding techniques to keep our focus on the present moment; this prevents us from disassociating ourselves—going back to the past or looking to the future—from what is happening here and now. The yoga-practicing men at the VCCC have noticed that after starting their practice, they feel better about themselves, sleep better, have better communication and interaction with others, and have less anxiety. They have shared their breathing and meditation practices with their loved ones on the outside to help them deal with their responses to a family member’s incarceration. I’m interested in knowing why we should be spending money on providing yoga to prisoners? As a taxpayer I am already paying for our prison system in federal, state, and local taxes. The cost to keep a prisoner behind bars varies widely from state to state. According to a 2012 study from the Vera Institute of Justice the cost to the taxpayer was $39 billion in 2012. Most taxpayer money goes toward building more prisons, employee salaries and benefits, retiree health care contributions, and legal claims. Very little money is left for the prisoner. I strongly believe that we should be spending money on rehabilitative practices that include yoga and mindfulness, as well as continuing education. 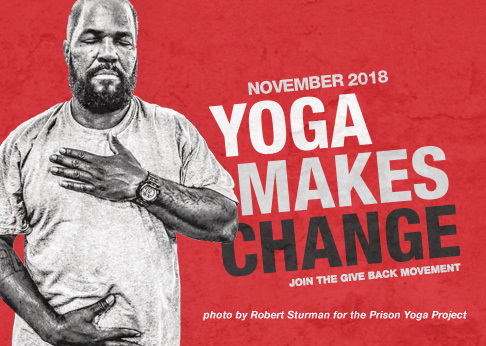 The benefits of a yoga program would come to fruition when prisoners are released with the tools to succeed and continue to use the mindfulness and yoga upon release. It will take time, but rehabilitative programs will lower the prison population, which in the end will save taxpayer money. What is the greatest obstacle to yoga classes becoming a regular feature of prisons? I would say it is both the availability of yoga teachers and the attitudes of many wardens. Every state, city, and county is looking for ways to cut costs from programs to balance their budgets. Funding for yoga programs is starting to grow in some states, but most teachers are still volunteers. The volunteer teacher in most cases meets the superintendent or program director at the corrections center to explain the benefits and results of a prison yoga program either from research or personal experience. If it’s agreed, it is typically a 6 to 12-week trial run. The volunteer teacher may teach alone or with a partner. If the class is an hour long, it could take two hours with checking in and out of the facility. It could be a three- or four-hour time commitment, depending on how much travel is involved. Ideally, the prisoners would have the option to be educated on how to teach other prisoners, so the yoga practice would be a regular feature they can depend on. I strongly believe they would respect a teacher they could relate to, and see on a daily basis. Donate to Prison Yoga Project to help fund free practice guides for prisoners. Or find a Prison Yoga Project training near you, and get involved in sharing the transformational tools of yoga and mindfulness with men and women behind bars.